A selection of 10 stand-out jewellery lots offered at auction in February-April 2019. 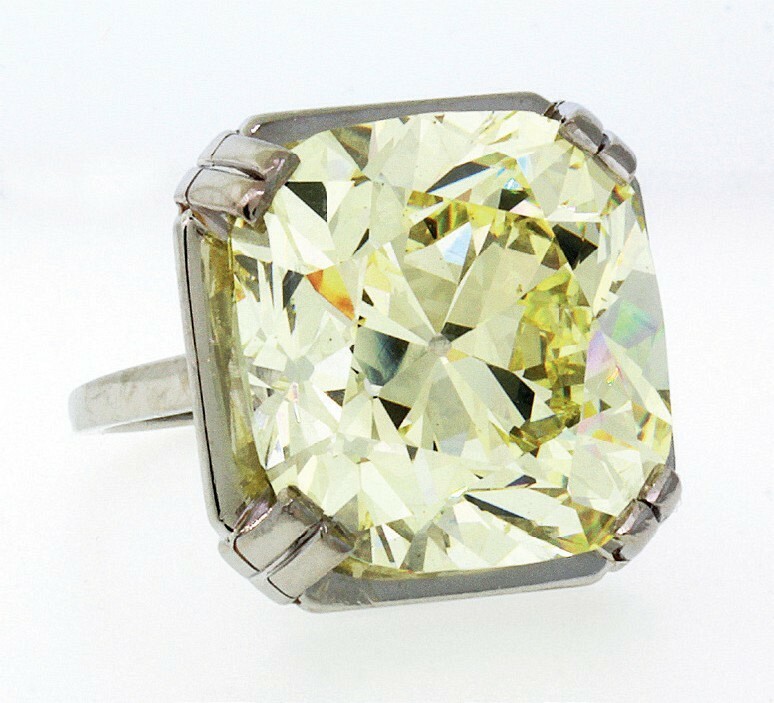 A 34.28ct fancy light yellow diamond carries an estimate of $400,000-600,000 at Clars in Oakland, California, on February 17. The history surrounding this old-mine-cut stone is almost as rich as the ring itself. It is thought to have been purchased by King Kalakaua of Hawaii for his wife Queen Kapiolani to wear at Queen Victoria’s Jubilee in 1887. 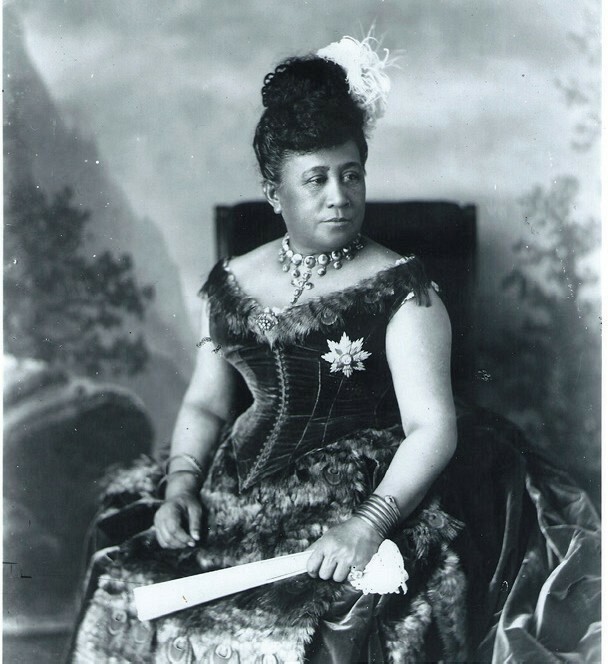 She was photographed at the event in her peacock-feathered gown, displaying the decoration of the Royal Order of Kamehameha I and a large diamond ring on her left hand. A period photograph of 1890 in the Hawaii State Archives also supports the story that Kalakaua later took out a loan at the Crocker Bank in San Francisco, leaving the ring as a deposit. When in January 1891 he contracted pleurisy and died, the ring was sold to a gem dealer from Texas. Its most recent owner was Frank Spenger, proprietor of a popular fish restaurant in the San Francisco Bay Area who carried it in a specially tailored pocket to show to his patrons. 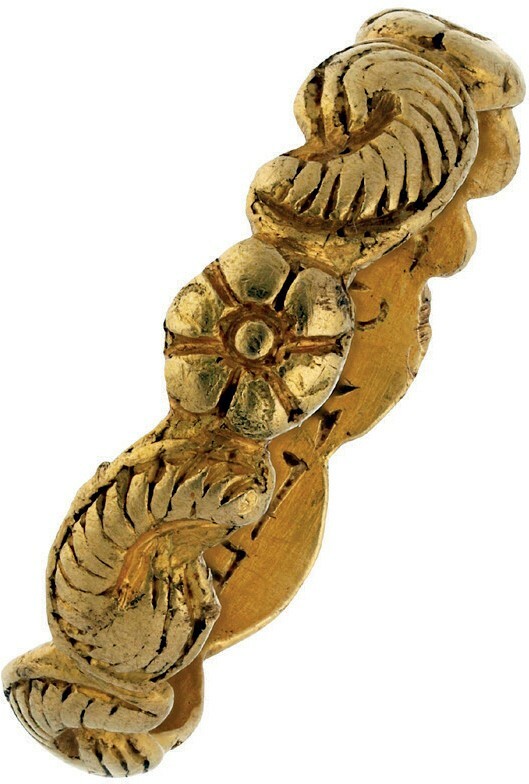 Posy ring – estimated at £1500-2000 at Dix Noonan Webb. The posy (poem) to this ring (above) – inscribed in Roman capitals In silenc and in hope [sic] – is not rec-orded in Joan Evan’s reference work Posy Rings. Discovered by a metal detectorist in October 2017, it is expected to fetch £1500-2000 at Dix Noonan Webb on March 26. 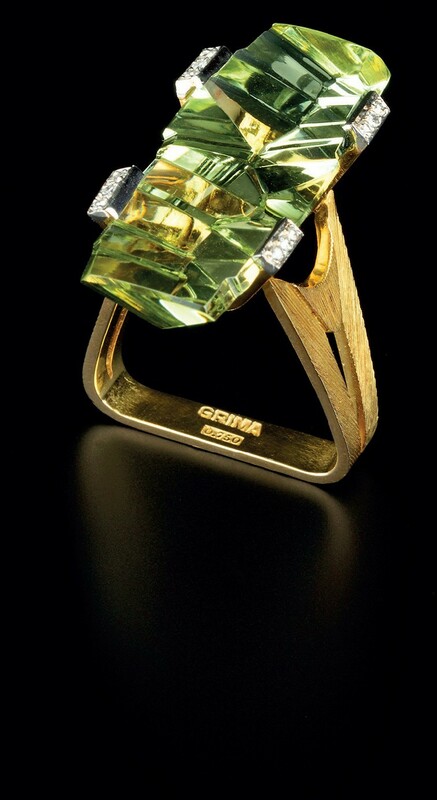 Andrew Grima ring – £1000-1500 at Mallams Oxford. The March 27 jewellery sale at Mallams Oxford includes this characteristically daring green beryl and diamond dress ring by Andrew Grima. Signed and hallmarked for London 1970, and offered in a maker’s case, the central stone has a ‘mystery cut’, fashioned with a cabochon top above a pavilion of angled facets. The estimate is £1000-1500. Work by Andrew Grima and his contemporaries features strongly in Bonhams’ sale on March 6. 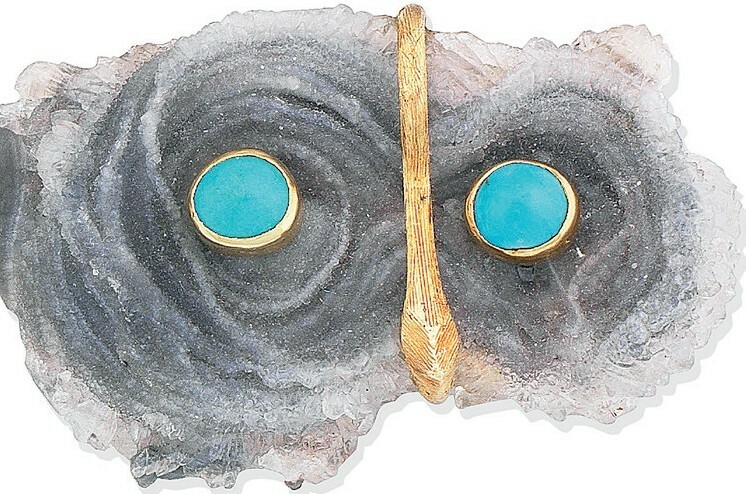 An imaginative owl brooch by Grima (1975), formed with gold and turquoise accents to a crystallised agate geode, is estimated at £3000-4000, while a typical diamond brooch-pendant with gold cagework by Alan Martin Gard (also 1975) is pitched at £1000-1500. 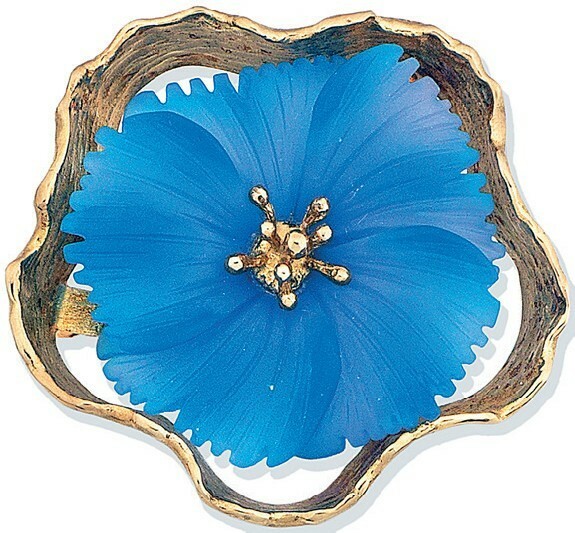 Also on offer is a relatively late work by John Donald, a frosted blue glass and gold flower brooch estimated at £800-1200. Arts & Crafts 18 carat gold, sapphire and diamond set ring – estimated at £300-500 at Catherine Southon. 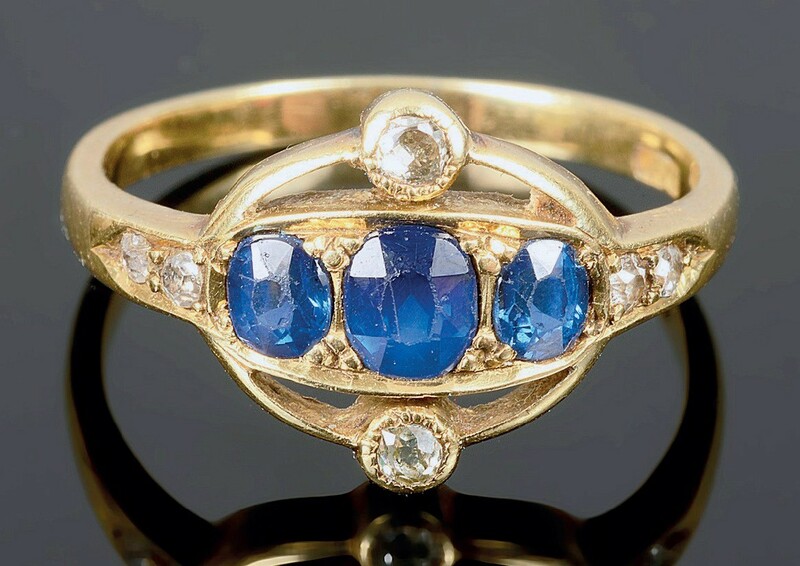 An Arts & Crafts 18 carat gold, sapphire and diamond set ring is estimated at £300-500 at Catherine Southon at Selsdon, Surrey on February 27. Rolex Explorer – estimated at £6000-8000 at Tennants. 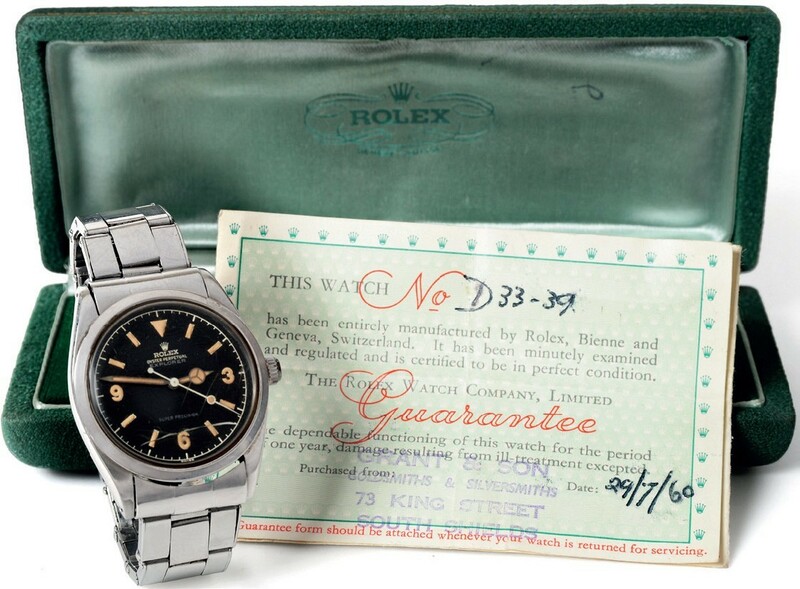 Tennants’ spring fine art sale in Leyburn on March 23 includes this Rolex Explorer – a reference 5504 from 1958. Offered together with its box and papers dated July 29, 1960, the estimate is £6000-8000. 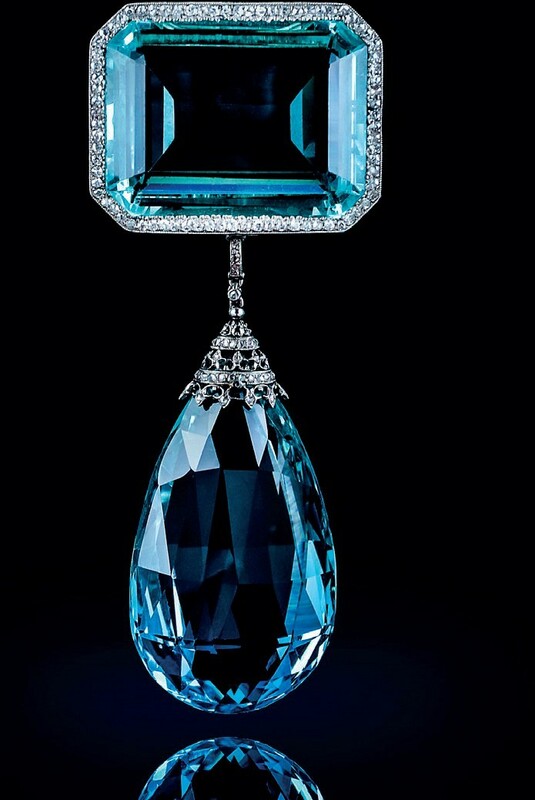 Edwardian aquamarine and diamond brooch – estimated at £15,000-20,000 at Dreweatts. The March 13 jewellery auction at Dreweatts includes this impressive Edwardian aquamarine and diamond brooch with a provenance to the first lady to be elected an MP. Made (either in the UK or US) c.1910, the brooch is a classic Belle Epoque jewel mounted in platinum-fronted gold. The aquamarines, estimated to weigh just under 88 carats, are probably Brazilian of a colour that today would be designated ‘Martha Rocha’ (after the 1950s beauty queen known for her captivating blue eyes). It was formerly owned by Viscountess (Nancy) Astor, elected as MP for Plymouth Sutton in December 1919. It has been consigned by her great-granddaughter. 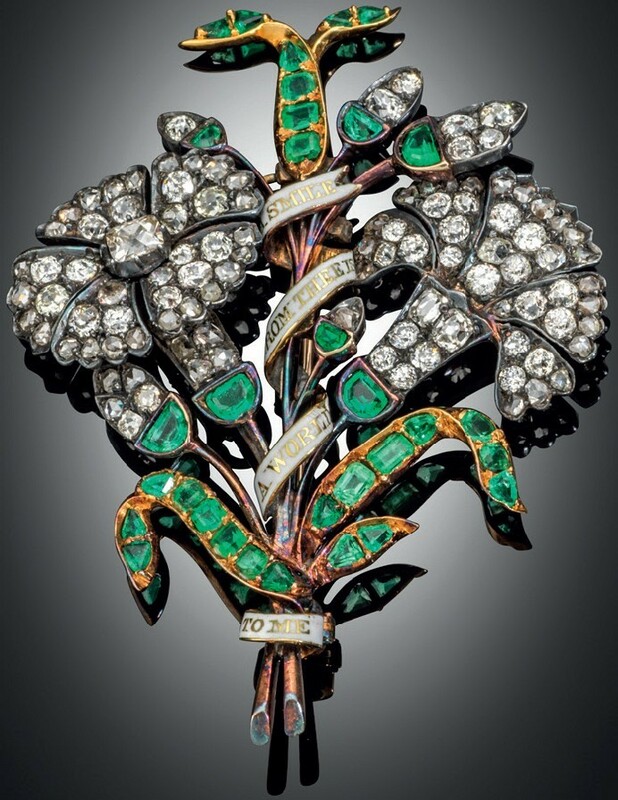 George III romantic brooch – estimated at £1200-1500 at Woolley & Wallis. In the language of flowers white carnations are symbolic of ‘pure love’. This George III romantic brooch includes both a bouquet of carnations and the enamelled posy A smile from thee is a world to me. At Woolley & Wallis on April 18, it carries an estimate of £1200-1500. Art Deco diamond bracelet – estimated at £25,000-30,000 at Cheffins. This Art Deco diamond bracelet carries an estimate of £25,000-30,000 at Cheffins, Cambridge, on April 11. The piece, from a private collection, is composed of five articulated plaques with claw and pave set stones with a total estimated weight of 32ct mounted in platinum with a white gold clasp. 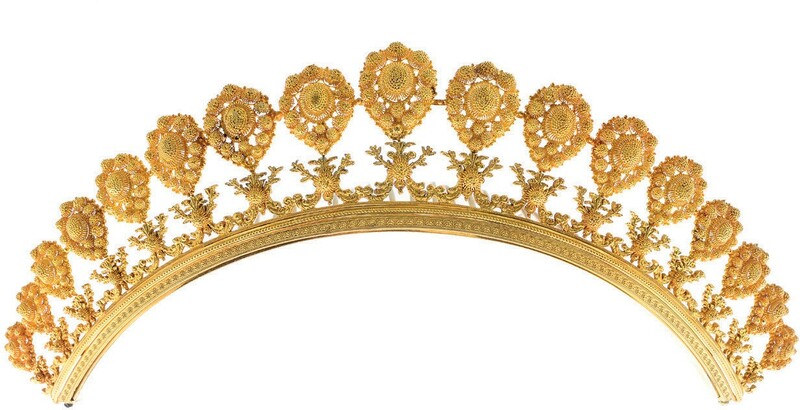 A tiara from a 19th century gold suite c.1830 – estimated at £7000-9000 at Fellows. Fellows’ Antique & Modern Jewellery sale on February 21 includes an early 19th century gold suite c.1830, comprising a tiara (shown), a necklace and two bracelets. Estimate £7000-9000.